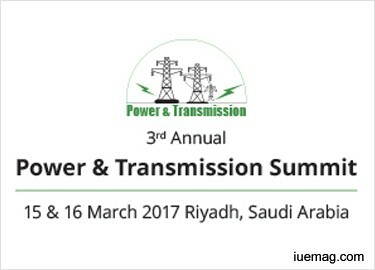 NISPANA in association with SEMARK Saudi Arabia is excited to announce its 3rd Annual Power and Transmission Summit on the 15th & 16th March, 2017 in Riyadh at the Riyadh Marriott. The Kingdom of Saudi Arabia’s power sector is witnessing a very significant change, one that is driven by massive development projects that are underway across the region and a significant growth in population. Energy consumption in the Kingdom is witnessing an unprecedented growth; Peak demand is expected to reach 90 GW in 2022. The ministry of water and electricity has announced an investment of $133 billion for the power sector to meet rising energy demands of the nation. Based on the power needs which will be in excess of 30,000MW extra capacity by the year 2020, the principle electricity company of the Kingdom, Saudi electricity company plans to spend an additional USD$ 80 Billion till 2022 to upgrade the production capacity. Today the Kingdom of Saudi Arabia is not only looking at generating power through the burning of fossil fuels but are also focusing on generating power through renewable and alternate sources of energy. The 3rd Annual Power and Transmission Summit will be an ideal platform for the Kingdom’s key power sector stakeholders, national and international power sector leaders, investors, contractors and solution providers, who will be meeting to discuss how to generate, transmit and distribute power across the Kingdom through the use of more efficient, cost effective and smart technology. There is host of eminent speakers like H. E. Amani Mohamed Al Azzam secretary general, Ministry of Energy and Mineral resources, Jordan, Dr. Fareed AL Yagout President national Power Company, Saeed Abdul Rahim Nagro Power Distribution sector head at Petro rabigh lined up speaking at the summit. The two day gathering will also feature NYNAS as Associate Sponsor, Oxford Business Group feature as the Research partners with a host of other media partners from the Middle East and the rest of the world. The iUeMagazine team is delighted to work with 3rd Annual Power and Transmission Summit 2017 as Online Media Partners & is expected to bring Unlimited Inspiration for all readers from the proceedings of this event. Staying tuned to the enriching updates from this event is recommended.